I don’t know about you, but I’m always torn between old standbys and trying something new. Whether ordering dinner at a restaurant or deciding where to travel, the struggle IS real. It’s especially real when it comes to my beach time. Here in Florida, we’re never more than 60 miles from the shore, and I’m grateful to live only 9 miles from the nearest beach in Sarasota! Because I never, ever, ever want to take for granted that I live where so many vacation, I visit the beach as often as possible. But, by “the beach” I don’t just mean that one beach. But, when it comes to picking a new-to-me beach to explore, I’m that proverbial kid in the candy store. Gimme ALL the candy… I mean, beaches. (But really I mean both.) 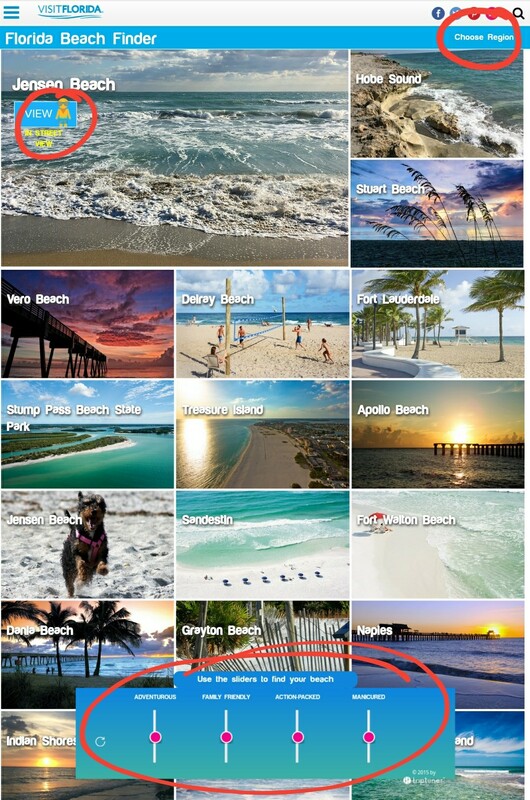 So, much to my delight, Visit Florida created this handy-dandy Beach Finder tool just for me – or so I tell myself. I don’t mind sharing, though! So, take a gander (here). This thing is super customizable. If you want to narrow it by region, you can. Want a street view? There’s an option for that, too. 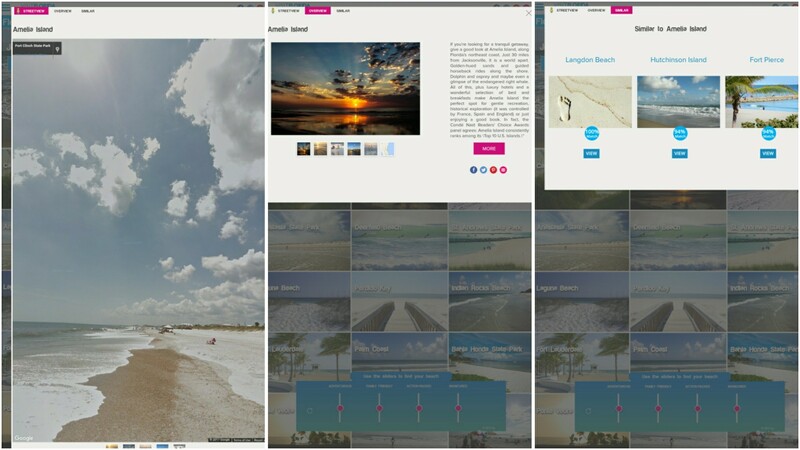 You can also click on any beach at any time for the street view, overview, and suggestions for similar beaches. Pretty nifty, huh? But that’s not all! My absolute favorite feature is the sliders tool. Four customizable categories – adventurous vs. laid back, family friendly vs. romantic, action-packed vs. secluded, and manicured vs. au naturel – allow you to adjust the search results to your specific preferences. The results even show you the percentage that each beach matches your preferences! Now, if you’re thinking, My preferences change all the time! – like mine – that’s all the more reason to use this feature. You can adjust and readjust the sliders till you find a beach to suit your next adventure. Here are a few of my results, based on my preferences TODAY. (Who knows what they’ll be tomorrow!) Which beaches did the finder suggest for you? Please share! The state of Florida should hire you! Haha! I definitely enjoy inspiring people to travel here!